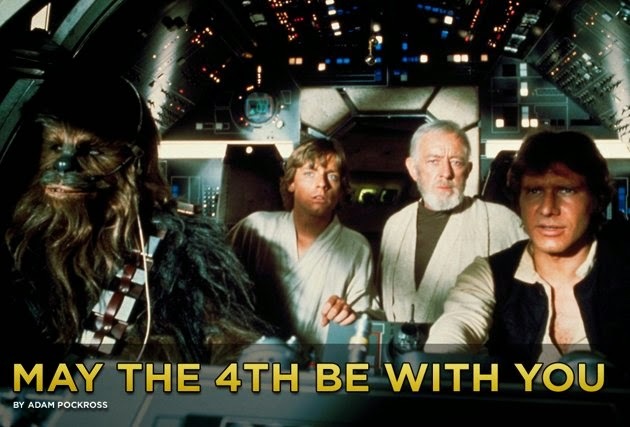 [Source: Sacramento Bee] The Force is strong again and “Star Wars” fans will celebrate it on May 4. With millions looking forward to the film “Star Wars VII”, the 4th of May has become an unofficial holiday to celebrate George Lucas’ saga, now owned by Disney. “Rebels” is set in the time period between the films “Revenge of the Sith” and “Star Wars,” when the Empire is rising to strength, cementing its hold on the universe and is ruled by the former chancellor, now emperor, Palpatine, who is also an evil Sith Lord. An earlier animated series, “Star Wars: The Clone Wars,” was set between “Attack of the Clones” and “Revenge of the Sith,” and dealt with the Jedi. 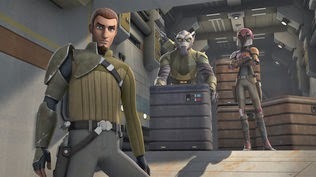 “Rebels” will debut on the Disney Channel, ABC, ABC Family and other outlets. It will also be released worldwide to more than 50 countries on six continents (missing only Antarctica, one assumes). Many marketers see “May the Fourth” as an opportunity to sell. “My M&M’s” has produced new gift boxes and party favors. At Pottery Barn Kids there are discounts until the 4th. Party City is having sales on “Star Wars” table wear. “It all started with the fans back in 1976,” says Steve Sansweet, president and CEO of Rancho Obi-Wan, a non-profit organization and museum based around “Star Wars,” “when Lucasfilm was really the first film company to go out and directly address the fans partly out of inspiration, partly out of desperation, because of the difficulty of marketing the movie.” Sansweet is an adviser and consultant to Lucasfilm on fan relations. "Rebels” will debut on the Disney Channel, ABC, ABC Family and other outlets"
I believe it's only airing on their Disney XD channel, even the latest trailer only states it. Although I would not be shocked if it does eventually go to their other channels like their standard Disney channel and ABC Family, Tron: Rising aired some episodes on the Disney Channel, but not all of it.